Popular adult entertainment website, Pornhub, is jumping onto the VPN bandwagon with the launch of its own free virtual private network (VPN) service, appropriately named VPNhub. VPNhub aims to provide Pornhub patrons and others in need of a VPN, a completely free and private internet browsing session. The VPNhub service is available for free on the Android, iOS, macOS, and Windows stores, which depends entirely on ads to generate revenue. 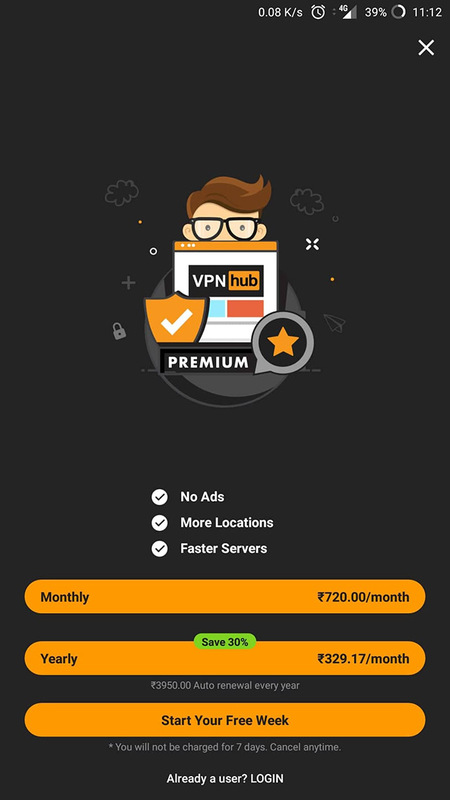 Just like the ‘Premium’ offering on Pornhub, VPNhub also has a premium subscription offer, which removes the ads and promises faster browsing speeds. The premium subscription costs anywhere between $12 and $14 per month, depending on the platform, and is well worth a buy if you don’t like ads. 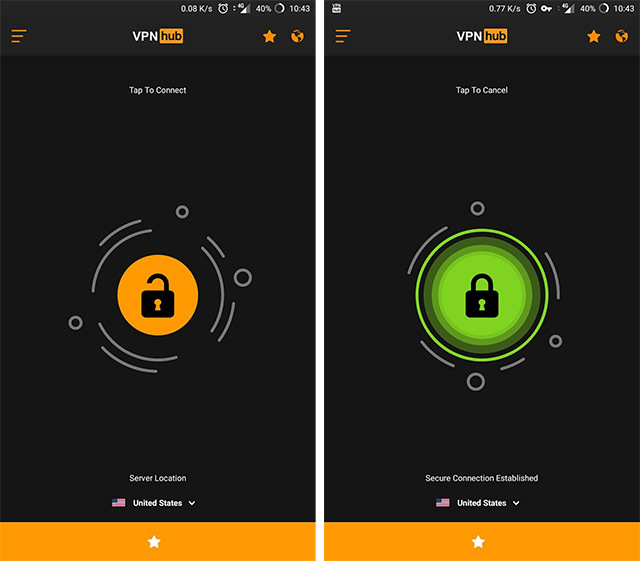 Unlike most other free VPN services, VPNhub promises unlimited bandwidth which is kind of a prerequisite as Pornhub’s core selling point is bandwidth-intensive videos. The service has around 1,000 servers across 15 countries, so you’ll never fall short of options, if a particular server doesn’t work out for you. We tried out the service on an Android device and it’s quite easy to setup and use. The app has an orange lock icon right in the center which you can tap to activate the secure VPN connection. Once the secure connection is activated, the lock turns green with a neat little animation. While the service does include a bunch of different server locations, the free version is locked to the US and you’ll need to subscribe to the premium version to access other locations. In India, the premium subscription is priced at Rs. 720 per month on Android, with a 30 percent discount on an yearly subscription that brings it down to Rs. 329 per month. If you want to try out the premium subscription before shelling out any money, the app also offers a seven day trial period.